Backlink Builder Tips | Let's Biz Up! The key is to get your websites, blog posts and videos to rank high on the major search engines for the keywords your audience is looking for. To pull this off you can use a “backlink builder”! Anytime you are posting content to your blog or write a new web page or host a new video – the goal is to provide value to your visitors, prospects and potential customers. The easiest way to pull off this miracle of marketing is to use a variety of keyword research tools to discover exactly what people are actually typing in the search engines when in the marketing for your product, service or business opportunity. Or, perhaps, what they are searching for when simply “searching” for more information, training or coaching. Once you know exactly what you target marketing is searching for, then simply write and publish content that speaks directly to their search query. If they are seeking an answer to a question or a particular challenge – give them a good answer or at least guide them to where they can find a solution. Once you publish new content, it is absolutely critical to then promote your content by getting other websites to link back to this new content using anchor text backlinks. Using a backlink builder tool will help automate or semi-automate this process. Article Marketing Robot is well-known backlink builder designed to distribute unique or semi-unique articles embedded with up to two keyword anchor-text backlinks to hundreds, even thousands of online article directories across a half a dozen different platforms. AMR is a Windows-based program though it does run on a MAC if you have a Windows emulator installed. For a backlink builder, this is one tool you cab use to promote every new blog post, video or web page I build. It has simply become part of the process. AMR costs only $97 one-time, but you will want to subscribe to a decaptcha service to completely automate the article distribution process. This will run you less than $0.50 per article distributed to 400-1000 directories. Unique Article Wizard is another backlink builder you simply could not live without. Like AMR, this program distributes your content to hundreds and even thousands of article directories and blogs around the world based on the category or topic of your content. This helps ensure you get a wide range of IP diverse backlinks which is critical to getting your pages to rank high in the SERPS. 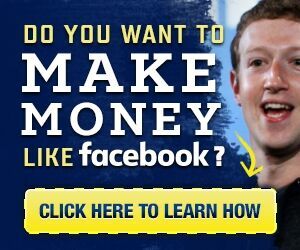 UAW is browser-based and requires a %67 per month subscription but it is worth every penny if you are serious about driving more targeted traffic to your pages and offers. Bottom line? Posting great content is just the first step towards taking your business to the next level. Once published your content, it must be promoted using a variety of backlink builders to help your content rank on the search engines (especially Google) because, frankly, if your content does not rank on the first page of the major search engines you have wasted your time publishing.